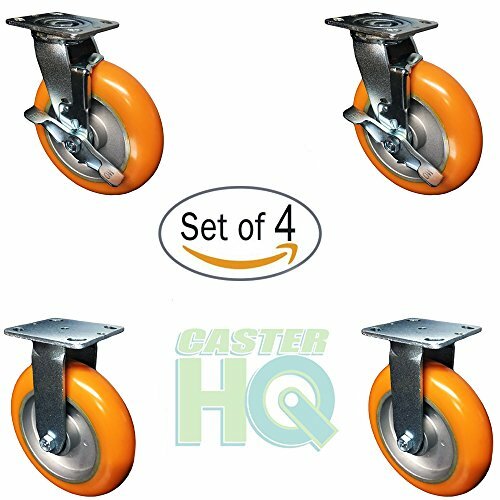 CasterHQ's 8" x 2" Non Marking Orange Polyurethane on Aluminum Core is a high quality, heavy duty caster primarily used in the automotive industry or manufacturing sector of factories where safety and ergonomics is a key factor. These bright orange wheels stand out, crowned tread with precision bearings make a very ergonomic and quiet ride putting less stress on the user and equipment. If you have any questions about this product by CasterHQ, contact us by completing and submitting the form below. If you are looking for a specif part number, please include it with your message. © 2019 - sunnydoors.com. All Rights Reserved.